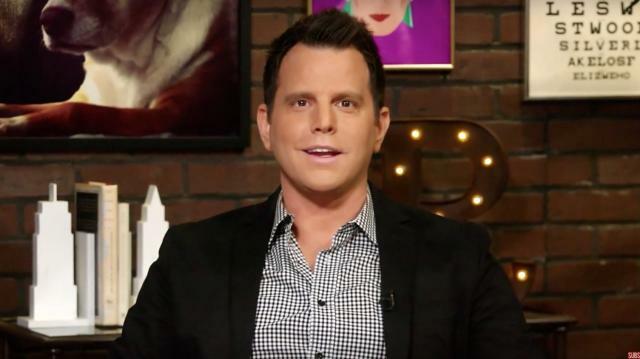 Trigger warning: Dave Rubin discusses the recent attacks on free speech at Yale and University of Missouri, and how the Regressive Left has helped create a generation of people who are so sure in their beliefs and so dismissive of their opponents ideals, that they have no reason to stand up for free speech anymore. OK, now that you're trigger warned, we have to talk about free speech.It feels like it's on the ropes these days, right? We've been talking a lot about it here in the context of how regressives stifle debate by calling everyone racist, sexist, homophobic or the rest. This very concept, tolerance for intolerance has been taking root at college campuses across the country for some time now. There are two completely separate situations unfolding right this very moment. One is on the campus of Yale, where some students were upset a professor wrote a letter defending the right to wear offensive Halloween costumes. The letter in part explained you can either ignore the costume altogether, or engage with the person wearing it, telling them why you find it offensive. Apparently this wasn't enough for some students, cumulating in a video now gone viral in which a student screams at the Dean, "It's not about creating an intellectual space...it's about creating a home here." The other situation is at the University of Missouri, where students were fed up with a series of racially motivated instances they felt weren't being properly dealt with by the administration.The students demanded the resignation of the school president, which he submitted after the mostly black football team got involved. A video on campus has gone viral showing a young journalist trying to cover the protests but being screamed at and bullied by a group of students. Ironically, these students are trying to silence someone who was only there to cover the very protest that they wanted attention for. For one of the oldest and largest journalism schools in America, it seems that MU has gotten something about free speech quite backwards. Of course, these two instances are not isolated in America, nor in other parts of the western world. Colleges and universities are the very places where you're supposed to go to engage in the battle of ideas, to learn new ways of thinking, and to challenge your preconceived notions, yet somehow have become hostile to all of these concepts. Now shouting down speakers you don't agree with, demanding professors be fired for contrarian views, and denying the media free and unfettered access have found their home in these safe spaces. Of course, this all ties in very much with that we've been talking about on this show. The regressive left, by calling everyone racist and bigots and homophobes and sexists, have ushered in a generation of people who are so sure in their beliefs and so dismissive of their opponents ideals, that they have no reason to stand up for free speech anymore. If your opponent is a racists or a bigot, then why engage with them?You've got the moral highground, so just shout them down or call them names until they give up. These are the tactics the regressives have used successfully in so many areas and now we're seeing the fruits of their labor. I want be clear here -- nothing I'm saying is dismissive of the actual issues these college students are dealing with. There's no doubt we have racial problems, we have equality problems, we have wealth disparity problems.. the list goes on. But these problems won't go away if we don't talk about them. They won't magically resolve themselves if we only talk to people we agree with. Actually, they'll only get much worse. This is the inherent flaw of the identity politics that regressives love so much. When you whittle us all down just to race, religion, nationality, sexuality, or whatever else there is, there's very little less to unite us. I'd rather look at people based on their ideas and their beliefs. Those are the principles that will unites us across the divide that the regressive left is digging. I've been saying for a while now two things can be true at once. In this case it can be true that these students have legitimate grievances and at the same time it can be true that free speech shouldn't be sacrificed on the alter of political correctness. We should be more worried about the government taking away our free speech rather than us taking it away from ourselves. Some say the road to hell is paved with good intentions. Some say the ends justify the means. Some just want to shut you up. And that's when you need to speak the loudest.